Creating a great homework station that has everything that your students need without them having to hunt for supplies is important to ensuring that homework gets done thoroughly and without any drama. Whether you’re setting something up for your own children or putting together some suggestions for your students’ families, here are 10 must-have items for your homework station that will ensure that kids have what they need to get their homework done with no headaches. 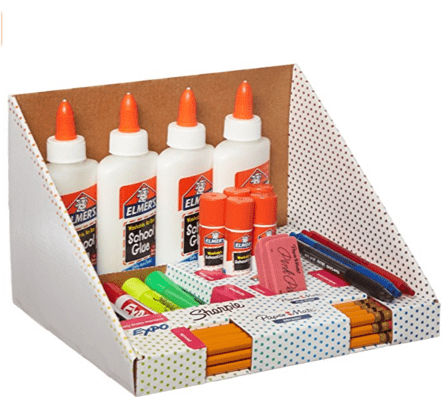 Supply Kit – A good supply kit with pencils, pens, highlighters, art supplies, paper, and other important items that students will need to complete their assignments is a must. By having all of these things in one place, there are no delays or excuses for notcompleting homework because they don’t have what they need. 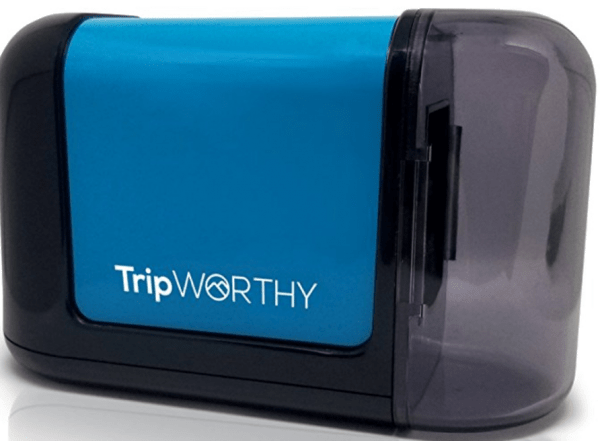 Electric Sharpener – Find a good electric pencil sharpener that works for both standard #2 pencils and also colored pencils. It’s so much easier to use an electric sharpener than a manual one and wards off the distraction and procrastination tactic of sharpening pencils by hand. 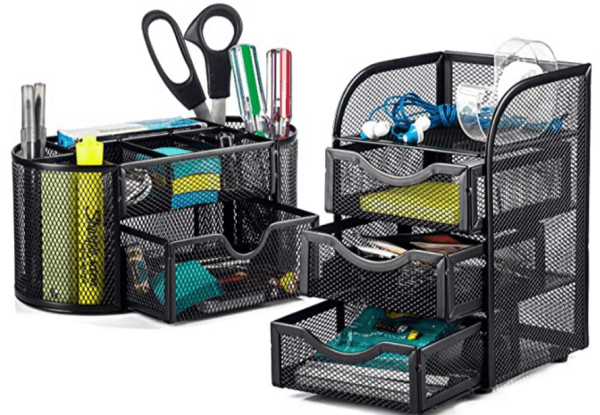 Storage Solution – A good desk organizer for supplies will help keep everything together and in easy reach. This will reduce the desk clutter which can be a distraction for many students. Great Lighting – It’s tough to work when you can’t see what you’re doing! Make sure your child’s homework space is well-lit. 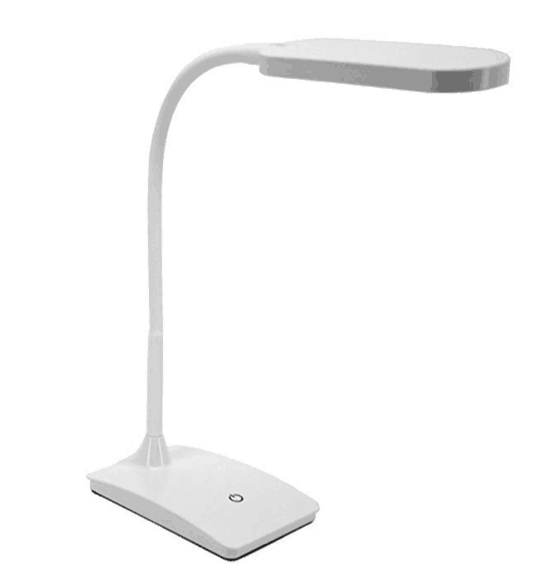 A lamp with adjustable levels of light is a great choice so that they can find the brightness that works for the time of day or level of natural light in the room. 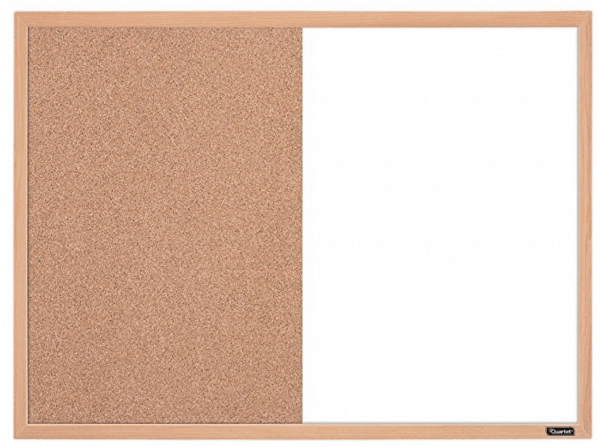 Wall Organizer – A whiteboard with a corkboard is a perfect place to write down reminders and deadlines and post important lists or notices that you need to keep on hand. Hanging Folders – Hanging folders for the wall gives you a place to organize papers that have come home from school, things that need to be signed, or store blank paper to be used for assignments. Label them clearly to help ensure that things are filed to the right place. These are SERIOUSLY one of my MOST FAVORITE supplies ever and I think everybody needs them in every room of their house! Calendar – Put up a wall calendar for easy access when dating papers, plus noting deadlines and due dates. 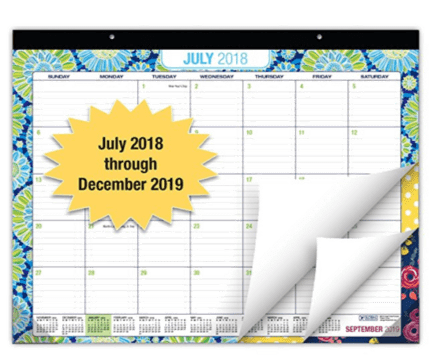 Remind them to transfer dates from their planner over to their home calendar so they don’t lose track if their planner happens to be left at school. 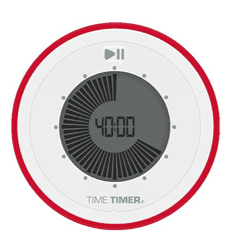 Timer – A timer is an important part of a well-organized homework station. Use it to to help track daily timed reading or studying. 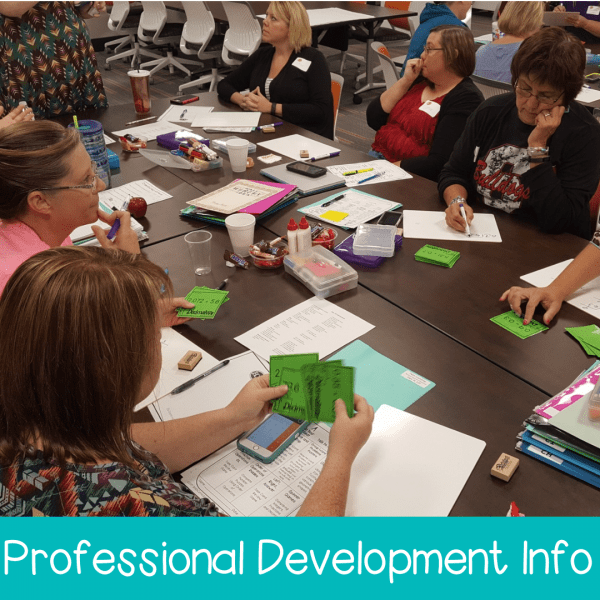 Students who have a hard time staying on task often can have more success when given a specific amount of time to complete an assignment or project. 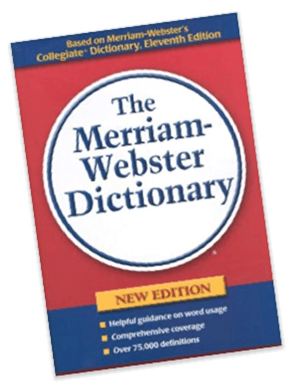 Dictionary – Though with internet access, sometimes it seems archaic to have a standard dictionary, for many students, having to get online to look up a word can completely derail their focus. Have a good dictionary on hand to ward off an unintended internet break. Hole Punch – A three-hole punch makes it easy to prepare papers to file in binders or pronged folders. As many teachers use these in class, having a hole punch at home can keep assignments from being misplaced because they can immediately be put where they belong. This happens to be the very one that is sitting on my desk in my home office! 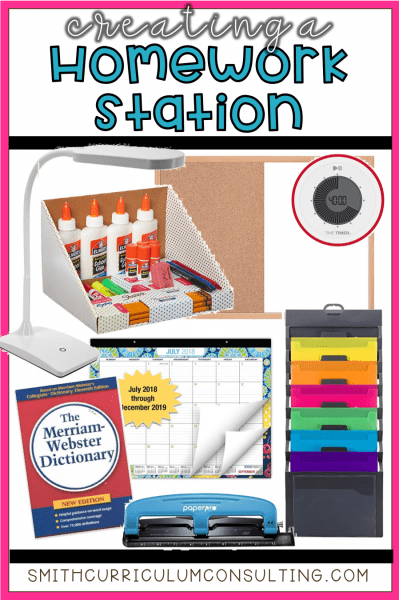 So whether or not you have a dedicated area in your house for your Homework Station, making sure to have the necessary supplies at hand at all times is important to set your own students up for success this year. 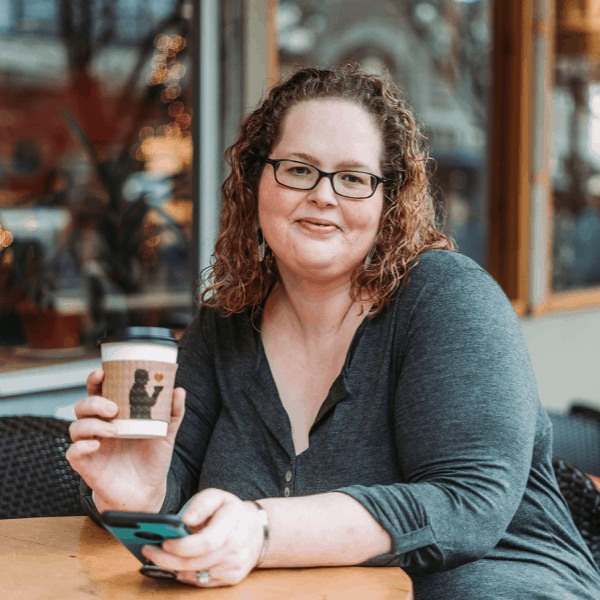 Let me know what you favorite supply to have to keep you productive is below!